Spot on. 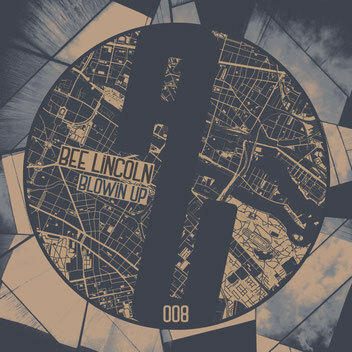 Hailing from the new studio, labelowner BEE LINCOLN is blowin’ up number 008 on as usual.music. Well-selected, he takes out some subtle driven cuts for a huge groove bubble. All three tracks are crisp and fresh indeed, coming forth with a proper impact and shaping the solid „Blowin up EP“. Title track is the way of groove whopper we love. Apparently pure in moving on, this one is for the good times. The interaction of toms, percussions and bassline is heavily fluid, that even grumpy Trump would import it without punitive duty. But this is not the place for politics, it’s about one of the highest gifts in life: happiness and unity. With low frequencies. „Mr. Bating“ is a nice guy. He keeps it simple. And he knows how to go nuts at the right moment. He takes a tightened up and stripped down beat, and turns it into a drifting daredevil straight to the peak, which is an effective and mighty electrified sight. Fear not, it will guide you back out. But „Who Snares“? Good question... The answer is not far and replied by the rhythm. The neat groovarium is one for the mind and likes to travel inside. The operating system are edgy plucks, slantly warmed to smudgy and grubby - in this arrangement, it’s easily digestible. But who cares. There’s something that all have in common – jabbed synth stabs! Mission accomplished. Spot off.